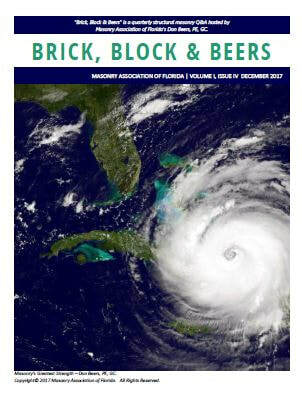 Brick, Block & Beers - Masonry Association of Florida, Inc. Florida Builds with BLOCK, BRICK & Stone. 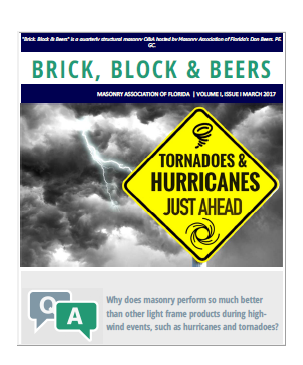 Why does masonry perform so much better than other light frame products during high-wind events, such as hurricanes and tornadoes? 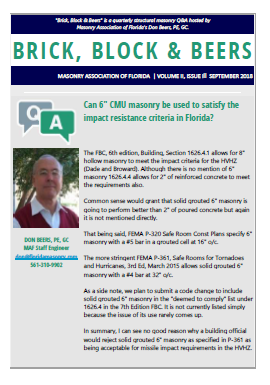 Can 6" CMU masonry be used to satisfy the impact resistance criteria in Florida? 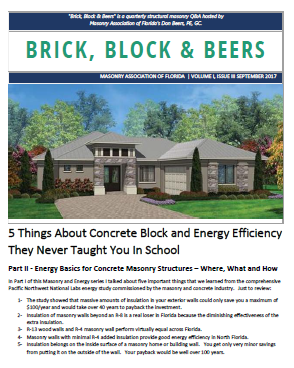 & What are the "normal" strengths of masonry readily available in the Florida market? 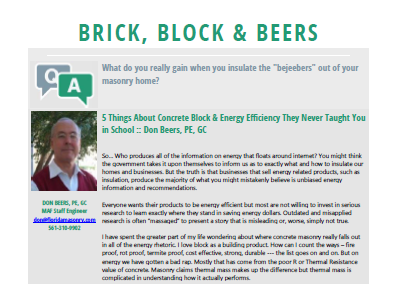 Don Beers, PE, GC is currently the staff engineer for the Masonry Association of Florida (since 2009) and President of Adrian Engineering, Inc. Previous to 2009 Don acted as Engineering Services Manager with Rinker Materials for 29 years. He is a graduate of the University of South Florida in Civil and Structural Engineering and is a licensed engineer and general contractor in Florida. 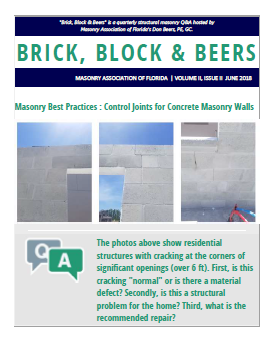 Has served as Chairman of the National Concrete Masonry Association’s Codes Committee, the Florida Concrete & Products Association’s Block Committee and a board member for The Masonry Society (TMS). Member of MAF, ASTM, FES, NSPE, ASCE, ICC and TMS. 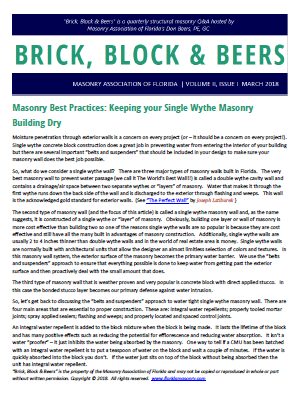 Masonry Association of Florida, Inc.